Certified information Systems Security Professional is a n information security certification developed by the International Information Systems and Security Certification Consortium (ISC)2 There is a growing need for information security leaders who possess the breadth and depth of expertise necessary to establish holistic security programs that assure the protection of organizations’ information assets. Hence CISSP has become a prerequisite for anyone developing a senior career in information security. 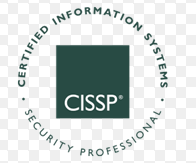 How do you qualify to be a CISSP Member? CISSP was developed and is maintained by the (ISC)2. However at its heart is an information security common body of knowledge (CBK) which has eight domains. For you to become part of this team, you must meet the following requirements.